Developer, who must be understood explaining your changes. Programmer, who needs to communicate better to be a good teammate. An Enterprise Architect, needing to speak clearly, working across component architecture disciplines. 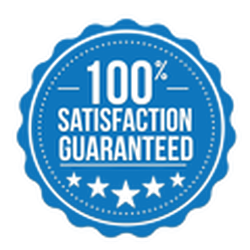 We are confident that you will be fully satisfied with our American accent software and private lessons..
Our training will show you how to be understood. Speak confidently and clearly with an American English pronunciation. All the vocabulary that is specifically relevant for your IT workplace. To speak English in a friendly and engaging pace that will sound very natural to Americans. To pronounce correctly vowels and consonants, linking words in sentences, vowel to vowel linking and using correct intonation pattern in sentences. Combine both our Revolutionary Accent Reduction Software and our Powerful LIVE Training to get the most out of our extraordinary & unique training. Great technical skills aren't enough if you can't get your ideas across. International IT professionals possess highly sought after programming and engineering skills. American companies and universities value your knowledge and professionalism. ​So don’t let your accent stand in the way of feeling valued, securing a promotion and a great job. ​The free audio recordings above are a great way to get started but to ​​really overcome all the daily challenges and frustration you have with your accent, you'll need the benefits of our proven methods. Why do you have an accent? 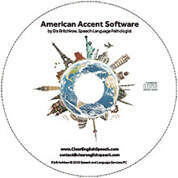 Right now you’re habitually transferring the sounds and patterns of your native language to American English. This creates speech that sounds unfamiliar to Americans and it may be difficult for people to understand. The way you speak might feel good to you, but American listeners won’t always understand what you’re saying.